ORKID, aka Matilda Melin from Sweden’s far north, continues to soar and amaze, release after release. Personifying quintessential Swedish indie-electro-pop, it’s hard not to fall for Orkid’s brand of velvet, soulful, fragile yet commanding vocals, alongside her captivating and piercing beauty inside and out. The 22 year old starlet now lives in Stockholm – a world hub for modern pop – but was schooled on classic legendary singer/songwriters like Nat King Cole and Sam Cooke. These contrasting influences can be heard in ORKID’s rare quality to possess both on trend and a maturity beyond her years artistry. At the raw age of 16, she cleverly used the ‘Idol’ stage and overcame the challenge of being heard from a small town, leaving audiences gob smacked with her world class potential. 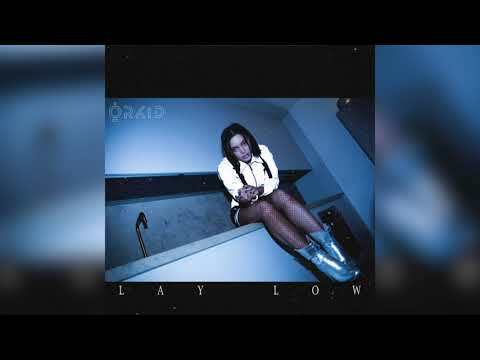 Desiring much more than ‘flash in the pan’ success, over the following two years ORKID completed her education, honed her song writing and live performance skills, and developed into one of Sweden’s most exciting artist exports to watch.